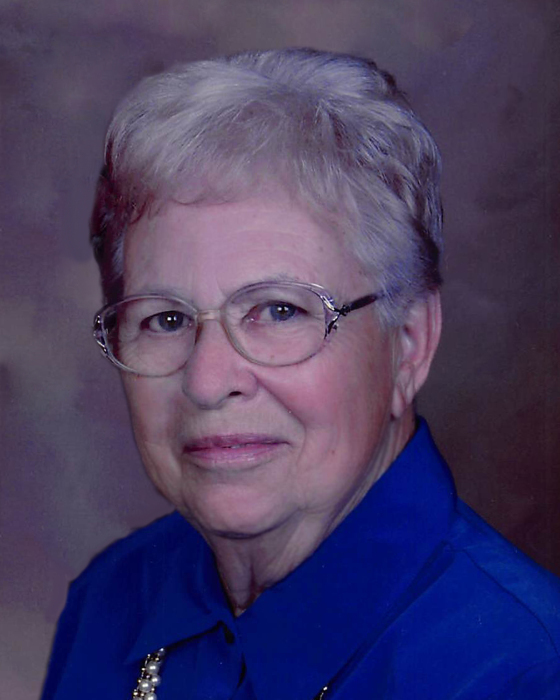 Grace Marguerite (Lesher) Glassman, Hays, died peacefully Sunday, March 24, 2019 at the age of 97. Marguerite was born in rural Natoma, Kansas to Clyde and Jessie (McConchie) Lesher on September 14, 1921. She spent her childhood in Fairport, KS. On February 15, 1942, she was united in marriage to Eugene "Dusty" Glassman. They celebrated 63 years of marriage until his death in 2005. As a graduate of Fort Hays State University with a Bachelor's degree in Home Economics and two Master's degrees in Education, she began her college career at the age of 40, while raising her family and working at the Marian High School library. Marguerite was a learning disabilities teacher for the Palco/Damar schools until her retirement at age 75. During her retirement years, she managed several rental properties from 1994 until she moved in with her daughter and son-in-law six years ago. Marguerite was a member of St. Joseph’s Catholic Church, the Daughters of the American Revolution and a member of the VFW Auxiliary. She is survived by her children Stephen Glassman, Edgewater, FL, Martha (Donald) Lang, Hays, KS, and daughter-in-law Linda (Roland) Query, Firestone, CO; Grandchildren Elise Glassman, Lynn Krestel, Jill de la Pierce, Jude Lang, Jessica Lang, Jeffrey Lang, Kim Burdett, Kelli Geier, and Kendra Glassman; Great-grandchildren Bethany, Jayme, Logan, Andrew, Samantha, Aiden, and Bane and Half-sibilings, Ruth Taylor, Naomi Brumfield, John Lesher, and Myra Lock. She is preceded in death by her husband, Eugene "Dusty" Glassman and children Philip "Dugie" Glassman and Mary Elise Milene. Funeral services will be 10 AM Thursday, March 28th at St. Joseph’s Catholic Church in Hays. Burial will follow in Mt. Allen Cemetery, Hays. Visitation will be Wednesday 4 PM – 8 PM and Thursday 9 AM – 9:30 AM at Brock’s-Keithley Funeral Chapel and Crematory 2509 Vine Hays, KS 67601. A parish vigil service will be at 6:15 PM on Wednesday followed by a VFW Auxiliary Memorial and Rosary service. Contributions are suggested to TMP-Marian, Holy Family or Catholic Charities.